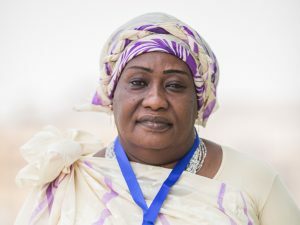 Sarah is an activist for women’s rights and is currently chairperson for the Sudan Women General Association. Sarah works to elevate women’s issues, especially in the building of the new state. She led the mobilization of women in ten southern states to vote during the referendum by conducting civic and voter education. In addition, Sarah worked with a coalition of women to advocate for women’s rights in the drafting of the transitional constitution for South Sudan in the lead up to independence in July 2011. Sarah was heavily involved as a woman leader in the liberation struggle. She has been a member of many civil society initiatives, including the Jonglei Women Development Association and the Bor Community Woman group.